It was a glorious day for striking teachers in Washington the other day. Tacoma School District teachers in Tacoma, Washington, USA went on strike last week. They say that the District is imposing unreasonable budget constraints and the teachers can no longer absorb the heavy and deep cuts. 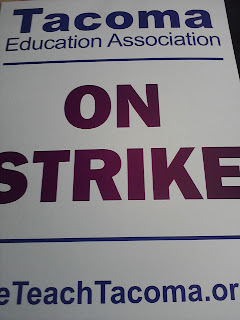 So they went on strike. Well, the District took the striking teachers to court. They argued that as public employees, it was illegal for them to strike. The judge agreed. He ordered the LITIGANTS back to school. 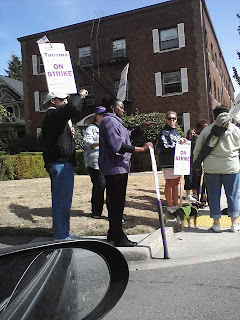 The Tacoma News Tribune ran a front page story describing the staggered schedule that the teachers were using so as to accommodate the influx of students and maybe non-compliant striking teachers. The funny thing is, the court order failed to mention the thousands of teachers. It listed the Board Members and a couple of of others listed in the lawsuit. Therefore a total of TEN people were ordered back to work. The streets were filled with hundreds on several corners hooting and cheering. It was pretty funny; the fact that the court failed to mention the actual striking teachers and that the News Tribune would assume the story was true and printed the cart before the horse. Funny stuff. 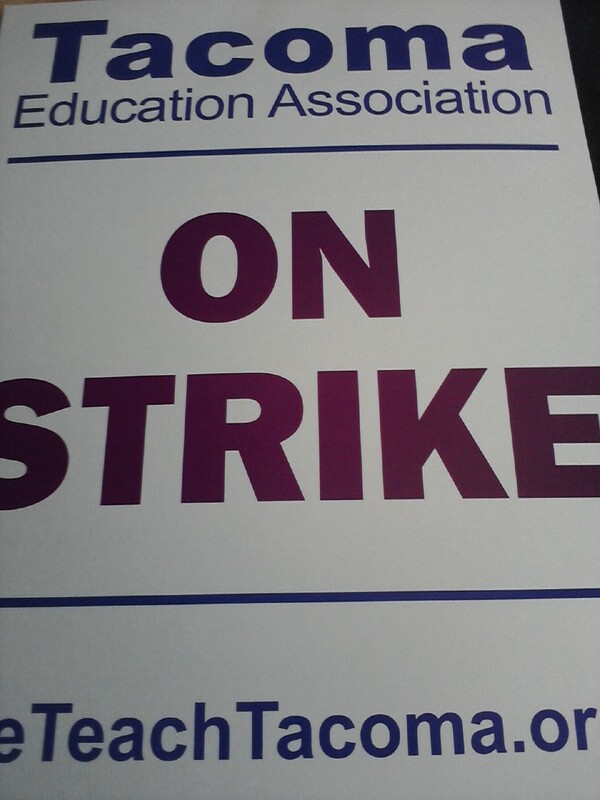 The District went back to Court and they now have 10 more days to strike before the court orders sanctions. I would say it is a good day for teachers all in all. Lets hope that they can resolve the strike to their satisfaction. The middle class has taken enough burden in these budgetary reductionist efforts.